Common has a new album coming out Nov. 4, and it's called Black America Again. If that doesn't make you excited about music, I don't know what will. So far, you may have heard his singles "Black America Again" and "Letter to the Free" (the end-title track of Ava DuVernay’s powerful new documentary, 13th). Both songs are just as glorious as their titles imply. And now the multiple-Grammy-, Golden Globe- and Academy Award-winning rapper has released "Home," a dope follow-up to those explosive and politically relevant singles. I'm just happy he's accepted the role of the messenger. "Home" is a rallying cry for all of us to wake up, live up to our highest potential before we go … "Home." In short, it's a call for black excellence, and we hear you loud and clear, Common. Black America Again is Common's 11th studio album and perhaps his most important. On it he discusses the plight of black America, the criminal-justice system's racism, slavery and more. 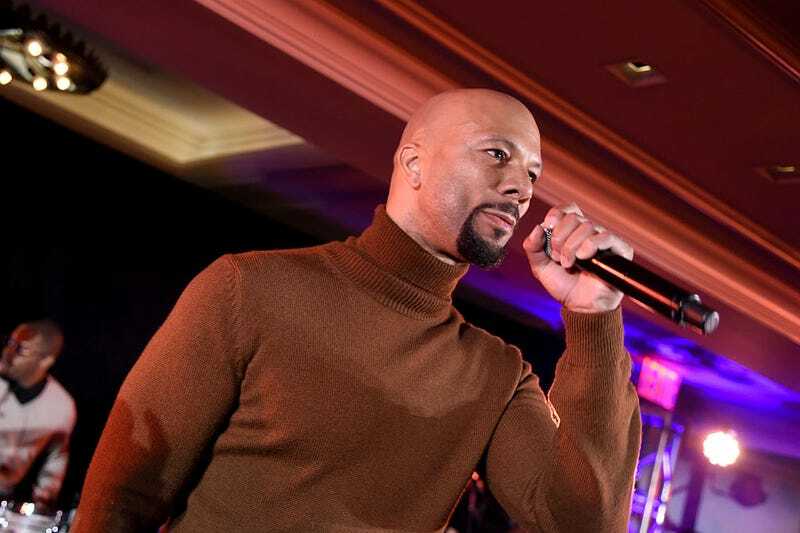 Needless to say, Common's latest musical offering is everything we need right now. And if you didn't think it could get any better, Common is using this album as an educational tool for college students. He will be hosting a special event at Morehouse College on Oct. 24 where he will talk with students about the important issues he grapples with on Black America Again. There are going to be more college events in the coming weeks—and who knows? Your school might be his next stop. Black America Again is available for preorder now!